The premier source for mint tourmaline is Namibia. These rare gemstones are coveted across the globe. 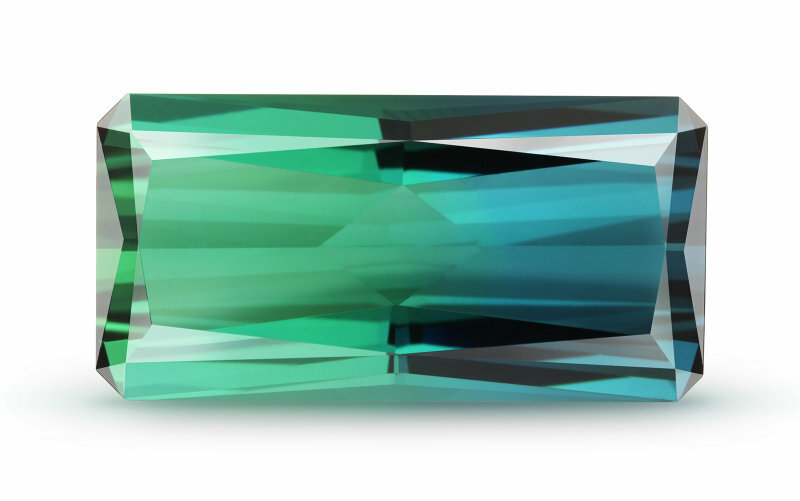 The unique bluish-green to greenish-blue color of this tourmaline is due to the trace elements of iron and titanium. Tourmaline is formed in granite-containing pegmatites, a rare igneous rock, and these conditions lead to long slender crystals. Great skill is needed to cut these gemstones on the right axis to obtain maximum color. Only a handful of people in the world have the expertise required.